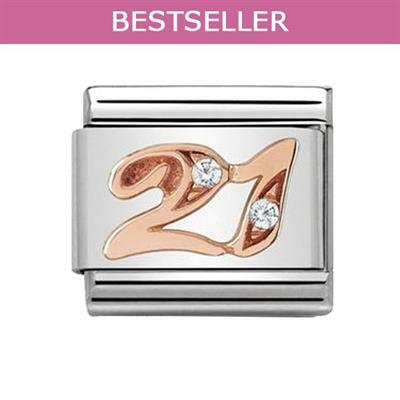 This Rose Gold Number from Nomination is the perfect addition to add some sparkle and a personal touch to your bracelet or to celebrate an 21st Birthday, Anniversary or significant number. Made from Stainless Steel, 9ct Rose Gold and a Cubic Zirconia accent. This sparkling charm will make the perfect gift, whether to begin a Nomination collection or to add to one!